It probably didn’t help that we were in a warehouse, walking with hordes of other people around the “pit” where all the warriors stood! We won’t deny what incredible workmanship went into carving and painting each warrior: individual features, expressions and even sizes! The level of detail and thought put in is unbelievable however the ambience did not lend itself to allow a sense of wonder! So another lesson we learnt through our travels: Do not have any expectations and then you will NOT get disappointed. We actually thought we had come with little expectations but obviously we still had some! To be fair though, the other things we experienced in China seemed more exciting possibly because we didn’t know what to expect. 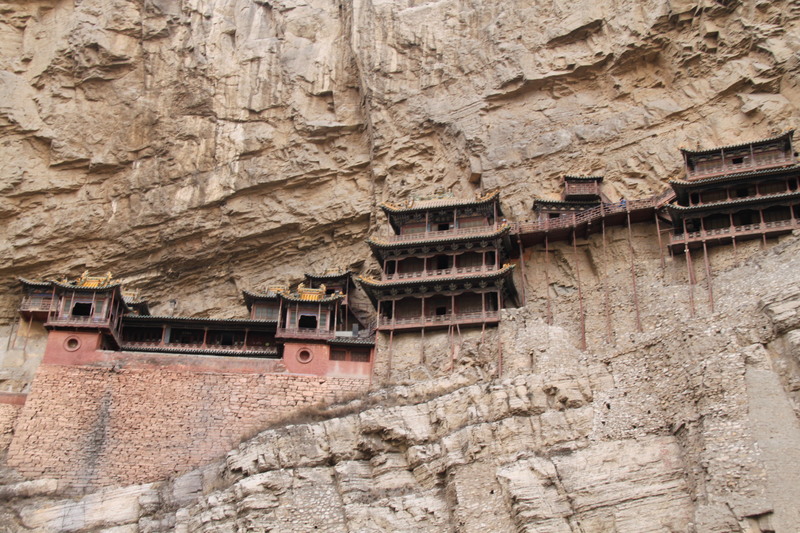 For example, we visited Ping Yao which we had never even heard of. 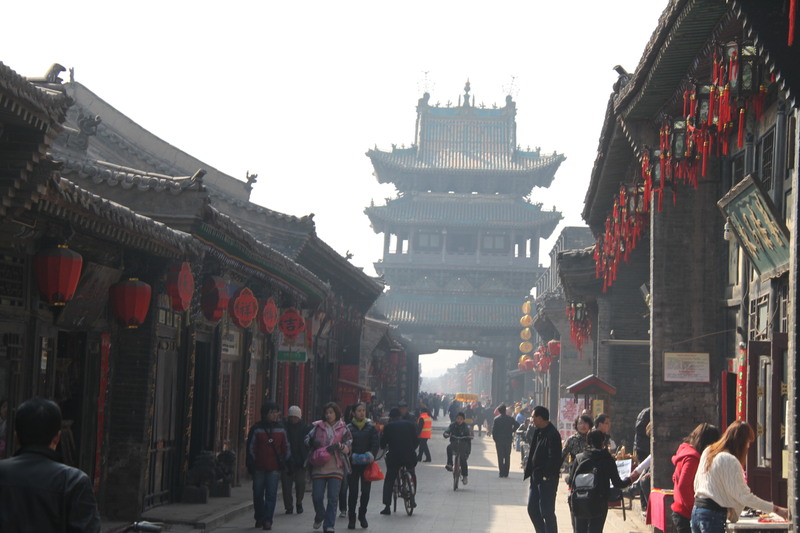 To visit Ping Yao is to visit an ancient Chinese city. It is so well preserved and still a walled city. Upon entering the gates, it seriously feels like we have stepped back in time. A time where kung fu happened on the streets and ninjas are running across roof tops – there is a strong possibility that image was heavily influenced by Hollywood and Chinese Kung Fu movies! Here we visited China’s first private bank and a Taoist temple, walked the city wall and watched artists in the lacquer museum. We even stayed at a hotel that was, although modern and comfortable, completely decked out to appear authentic. 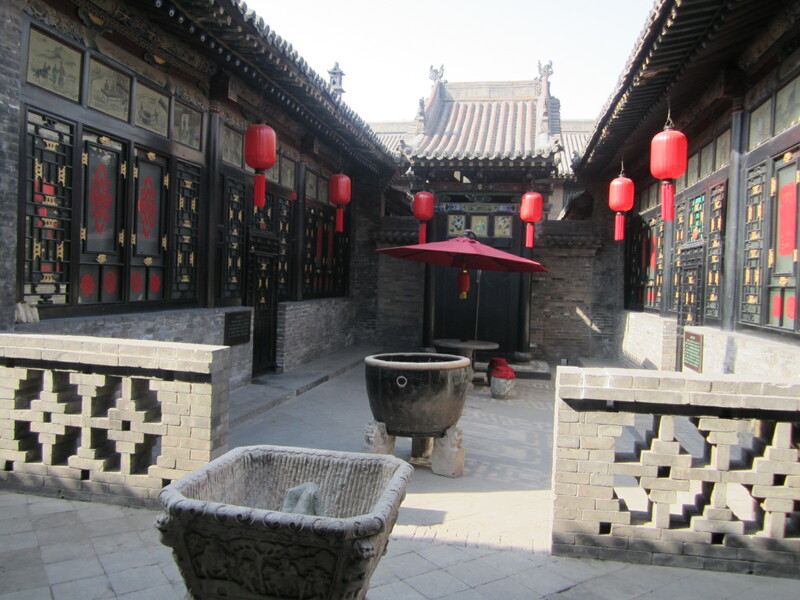 The decor and courtyards set the mood. 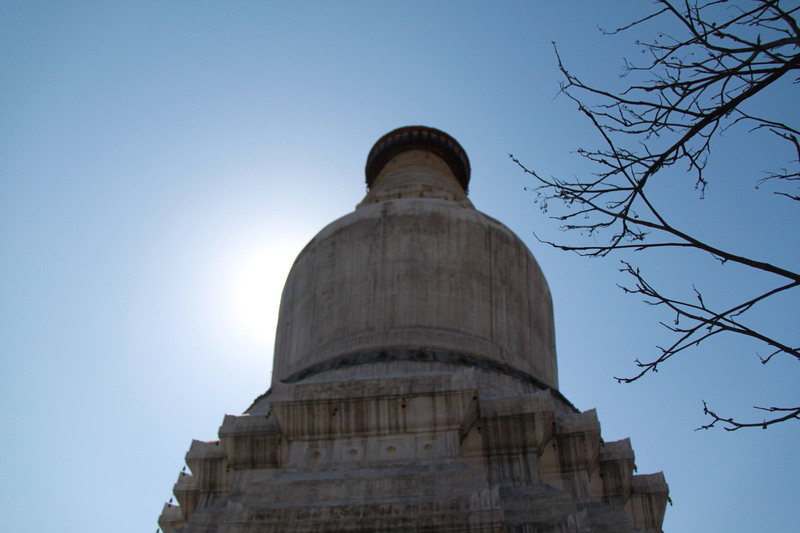 And another example was visiting the Wild Goose Pagoda where Tripitaka resided after returning from India and bringing Buddhism to China. Having grown up watching Monkey Magic, this seemed like a very awesome thing to see for ourselves. So it’s no wonder that the Warriors didn’t stand a chance amongst the other things that we saw in China. 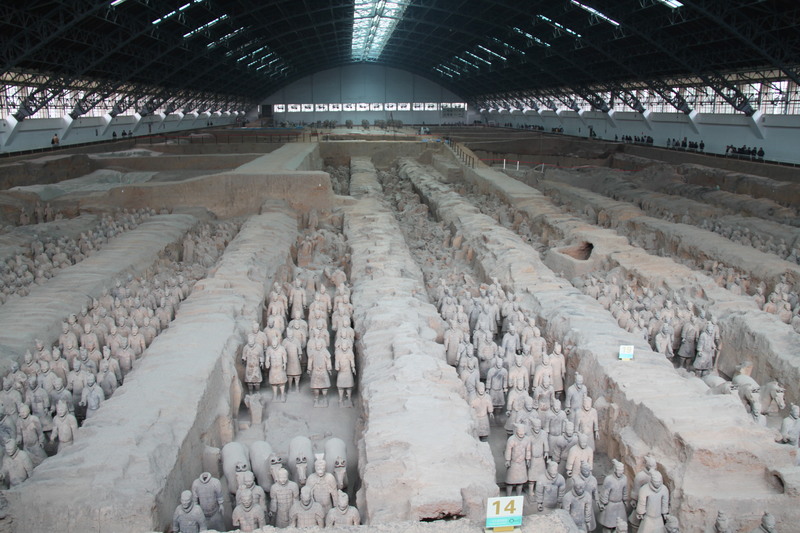 This entry was posted in Asia, China and tagged China, Ping Yao, Pingyao County, Terracotta Army, Terracotta Warriors. Keeping an eye on the temperature on our iPhones before we left showed that China was going to be cold. 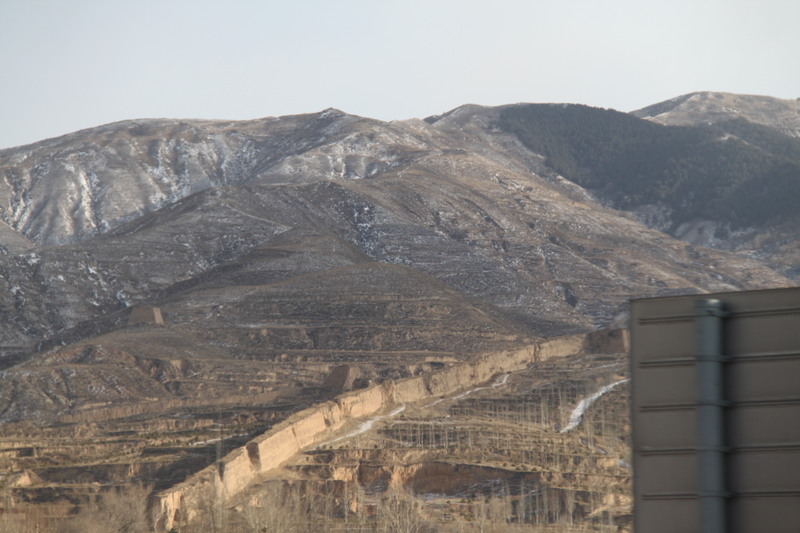 And because we were doing more “off the beaten” track – we would be in the mountains which meant it would be even colder! 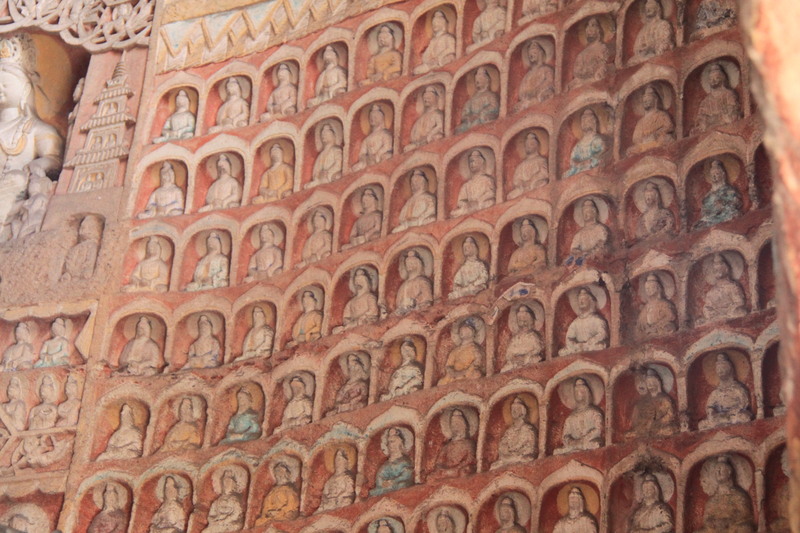 We were on the 18-day Helen Wong: Ancient Panorama tour. The great thing about this tour was that the price we paid was inclusive of all meals, accommodation, transport and flights. 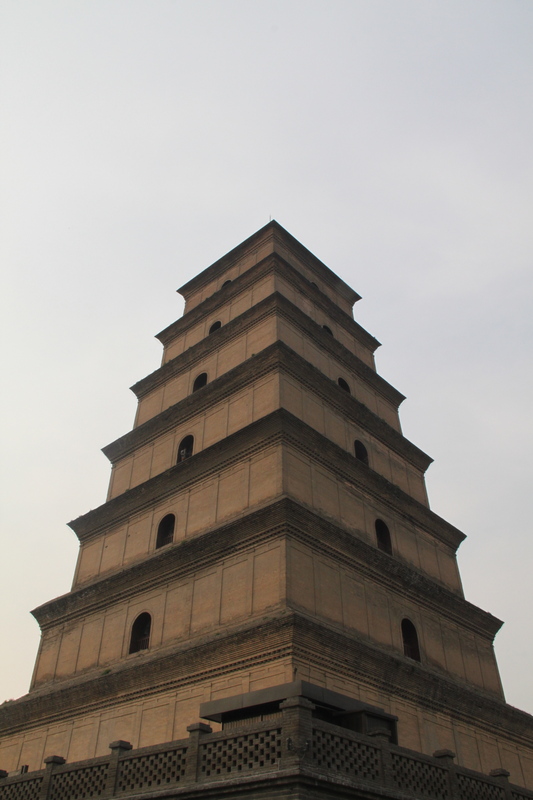 Flying with Cathay Pacific to get to Beijing was a very uncomfortable experience. The seats instead of dropping back, slide out from where your bum is. Very unusual design as we don’t know anyone’s back who actually can be angled that way. 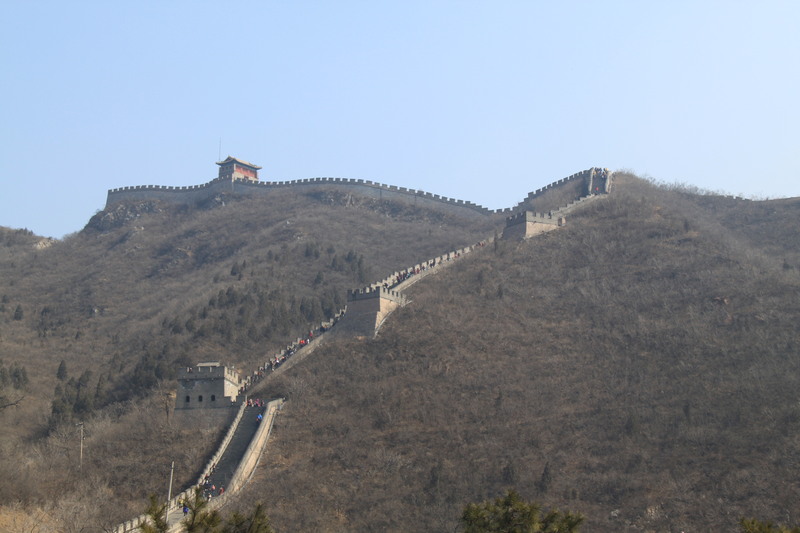 But anyway, we made it to China and found out that on our tour we had 8 people. That’s right…. ONLY 8 people: a wonderful couple from Townsville who we are still friends with today (thanks to Facebook) and 2 other couples from NSW and us from Sydney. Again we were the youngest in the group but that doesn’t faze us. 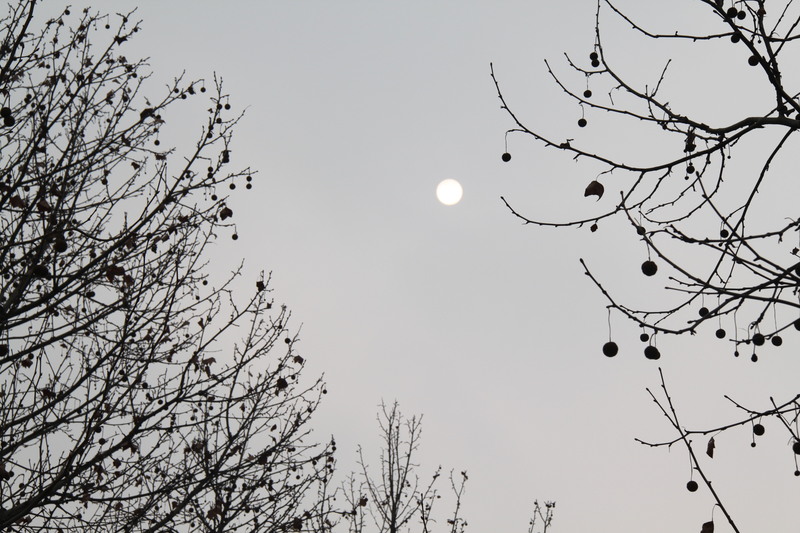 The weirdest thing to date that we have experienced was looking up at the sky and seeing only fog and pollution. The sun literally looked like a “lightbulb” in the sky or was it the moon, actually we will never know. Driving through a city that houses almost the Australian population, you can imagine – there are cars and people everywhere all the time. It was quite a surreal feeling to be walking around Tiananmen Square, around the Forbidden City and around the Temple of Heaven. The architecture and artwork on the buildings are intricate and carefully constructed. When we visit places like this, our minds try to imagine what life would’ve been like back in time. In this instance, it was trying to conjure up imageries of emperors and advisors and carriages and ceremonies. But the only “reference” we have to really do this though is to think of movies or paintings depicting such scenes. 2) Eating Peking duck in Beijing (or formally known as Peking). And both we did do! 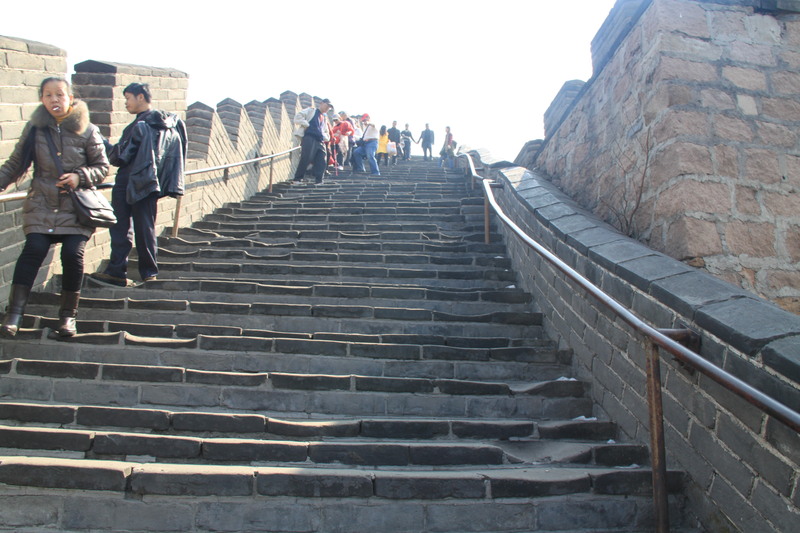 Now nobody told us that to walk on the actual wall that you needed to climb up a gazillion steps first. Not that it would have made a difference because we were going no matter what. Starting off, we were as keen as beans but by about midway, the calf muscles start to tighten, the thigh muscles start to ache, the beanie comes off and then the puffy down jackets are stripped off… we had to get to the top – nothing was stopping us! And when we did, all the aching and panting dissipated! Peacefully quiet facing a pathway that goes on forever…. well for approximately 21, 000 km at least. Another wake up call reminding us how great this world is and how amazing the people can be! 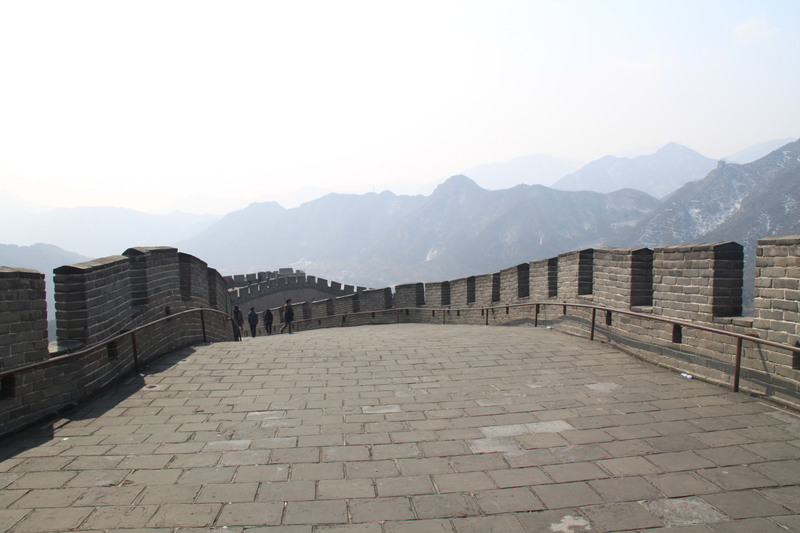 This entry was posted in Asia, China and tagged Beijing, Cathay Pacific, China, Great Wall China.